The rule of thumb is that tires should be rotated every 5,000 to 7,500 miles. While this is a good jumping off point, for exact figures on your model you should always check your owner’s manual. Still curious when to rotate tires? 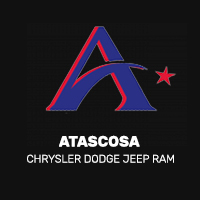 This guide from the folks at Allways Atascosa Chrysler Dodge Jeep Ram, your Floresville-area trusted service center provides more details. The 5,000 to 7,500 miles guideline still applies to FWD or RWD cars, but be sure to consult your owner’s manual for exact figures. If you’re performing a FWD tire rotation yourself, keep in mind to flip sides when moving the rear tires. For example, the rear right tire will go on the front left. However, when moving the front tires to the back, keep them on the same side. When rotating tires on a RWD car, invert the process above. Flip sides when moving the front tires to the back, but keep the rear tires on the same side when moving them forward. Keep in mind how and where you drive will impact your tire wear. If you off-road or drive in a challenging climate, you may need more frequent tire rotations. Talk with the service experts at Allways Atascosa Chrysler Dodge Jeep Ram to get a better idea of a maintenance schedule that fits your driving habits. Curious how many miles to rotate tires on an AWD model? These vehicles work slightly differently since each tire is receiving power. The experts recommend rotating every 3,000 to 5,000 miles, but check your owner’s manual for exact numbers for your vehicle. To be better prepared for hazardous weather around Poteet, keep tire rotations as part of your maintenance plan.